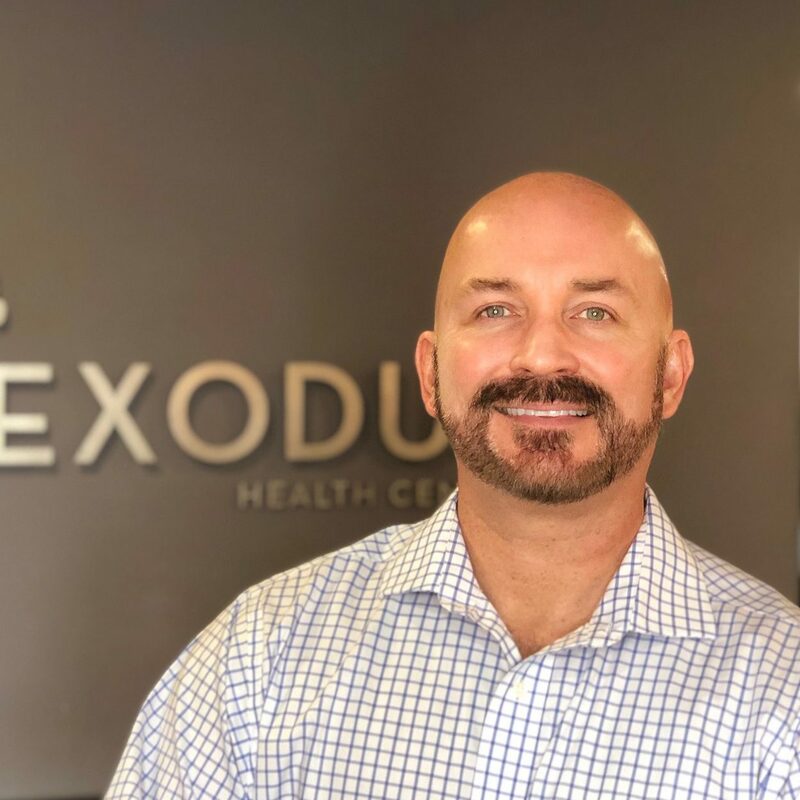 If you’re looking for relief from your pain, Exodus Health Center offers non-invasive medical procedures for a wide range of medical conditions, including chronic pain and joint injury. Exodus Health Center is one of the premiere stem cell facilities in Brentwood. Each member of our team is a dedicated professional who cares about each patient they see. Patients can trust our team to help them find the treatment solution which is the best fit for their specific symptoms. In order to provide relief for a variety of issues, we take an integrated approach to health care that treats patients like whole people rather than a collection of symptoms. We are dedicated to finding the root cause of medical issues such as chronic joint pain and back pain. We correct these issues with both regenerative treatments and other powerful healing therapies. At Exodus Health Center, we provide regenerative treatments that our patients can trust. If you’re seeking a solution for a medical problem like chronic pain, it’s time to call for a consultation. He Makes it Pop More! Dr. Justin started his journey as a chiropractor in his hometown of Murray, KY. While playing college football, he actually coached a middle school basketball program for three years where he coached his chiropractor and mentors son. While his parents both work in the medical field, after seeing the miracles and health chiropractic care produced, he immediately felt called to join this mission. He received a Pre-Med degree from Murray State University in 2006. During his undergrad years, Dr. Justin was a four-year member of the Murray State football team where he earned the first team all-conference honors, he then went on to pursue his dream of being a Chiropractor. He was accepted and attended one of the best chiropractic schools in the country at Life University in Marietta, GA. During his time in school, he was educated in the latest and most up to date techniques of the chiropractic profession. Working with many diverse groups including children, families, and pregnancy, he was able to learn and master many different techniques in order to take care of almost everyone that seeks chiropractic care. Due to his diverse sports background, Dr. Justin also takes care of many athletes who seek to improve their performance on the field as well as their health off the field. Dr. Justin is not only a dedicated chiropractor but first in his life is God and then his family. His wife Pilar, a business owner, also received her degree from Murray State University where they met. They have been happily married for since 2005 and have three children, Jackson, Tiago and Brianna. Family time is extremely important to Dr. Justin. He and his family can commonly be seen out in the community enjoying activities like the zoo or fishing at the lake. He is also an avid outdoorsman as he spends a lot of time fishing, hunting, and camping with his family. Dr. Guess grew up in a small town in western KY, graduated from Murray State University with a degree in exercise science. During his time at MSU, he was a competitive college cheerleader and suffered a back injury which left him with a painful walk for 8 weeks. He was referred to a chiropractor which was quickly able to cure his ailments. It was that time he gained a mentor and knew what he wanted to do with this life. Help other people experience the relief that he experienced. Dr. Guess graduated from Life university in Marietta GA. While in school he was able to study a diverse range of techniques ranging from pediatrics, extremities, athletic improvement and spinal decompression. Dr. Guess has treated all types injuries and all walks of life. From car accident whiplash, debilitating sciatica, constant knee pain, irritating plantar fasciitis and helping people live without their cane/walkers. In his free time, he enjoys spending time with his wife Denise. They enjoy all live music, sporting events, hiking, fishing and traveling. “Take care of your body, it’s the only place you have to live”.